Homeowners who have never been through remodeling focus on the "before" and "after" of a project — rarely do they think about the "during." They get caught up in the glitz and glam of the impending project completion and what it will look like when their kitchen is redesigned or their living room is expanded. Homeowners who have been through a previous remodel know better. They tend to be a bit more skeptical because they have experienced some of the inconveniences that can occur during a project. Research conducted by MMR Research Associates shows that homeowners who have previously completed a remodeling project are most concerned with how they are going to live through a remodeling project again. Homeowners beginning their first renovation project are more concerned with how it is going to look. These insights provide you with an opportunity to differentiate your business. Not only will you deliver the quality results all clients expect, but you'll also make sure they are as comfortable as possible while you're working in their home. You can demonstrate this to potential clients by tailoring your bidding and planning conversations. First-timers and those more experienced with remodeling projects each require different discussions. This may sound like a no-brainer, but you need to remember that first-project homeowners likely don't know what to expect. Showing them before-and-after pictures of your work can be an effective sales tactic, but if you don't talk to them about what happens between those pictures (the during), you could end up with an upset client. Seasoned homeowners are more aware of the pain points from past experiences and will be more upfront about their concerns. Discuss the timeline, temporary living spaces, scheduling, logistics, and the dirt and dust. 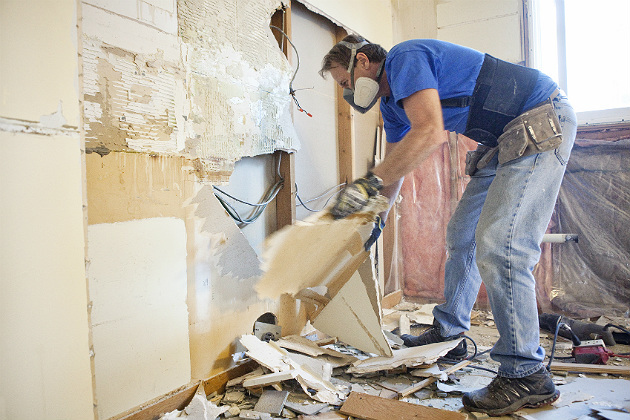 Explain how you manage all of these remodeling issues. Proactively addressing common pain points will set you apart, leaving potential clients wondering why the "other guy" didn't warn them. While you can't predict every obstacle that will arise on a job site, you can help homeowners be prepared for setbacks. Having this conversation will also help you understand the needs and attitude of the potential client, whether they're new to home remodeling or they're on the umpteenth upgrade. Work with each customer to develop a livable remodeling strategy that fits their lifestyle. For example, dust is one of those things first-time home remodelers typically don't think about. However, more experienced homeowners who have gone through living in a dust bowl for months on end will know to ask you about your dust control procedure. Avoid customer dissatisfaction by following best practices: isolate the work area, close and seal vents and the HVAC system, and capture airborne dust using a HEPA air scrubber. It's surprising in today's connected society that a lack of communication creates so many challenges. Communication should make the project run smoother, for both you and your client. This means you need to understand your client's preferred contact method and be willing to adapt your preferences to meet their needs. Historically, baby boomers have been the primary home improvement spenders, but Generation X and millennials are gaining ground as they age. So while some clients may prefer face-to-face check-ins or phone calls, younger generations demand digital communications, including invoices and status reports, in almost real time. Going the extra mile by proactively managing expectations of both experienced and inexperienced home remodeling customers saves a lot of grief and builds trust. It all comes down to exceptional customer service, which makes all the difference for your clients and your business reputation. Brian Paich is a business development manager at ITW BuildClean. Brian has worked directly with contractors and homeowners across the country for several years, learning what is most important to both audiences. He can be reached at bpaich@itwbrands.com.